We are in need of individually packaged foods. Below are a few examples. We have over 30 partners from the area and are always looking for new partners wanting to make a difference in the lives of local children. 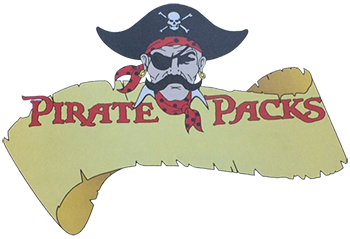 Thank you for visiting Pirate Packs. We are a non profit organization with a desire to meet the nutritional needs of children. Our mission is to provide weekend food assistance to students throughout the West Carrollton School district. This mission began in 2012 and we appreciate all the support we have received in trying to reach as many children as possible. Currently Serving over 300 kids per week!